No refunds on retreat classes. Join us for a week of diverse movement practices with four highly experienced and passionate teachers. Students can choose which classes to attend, or come to them all! Classes will range from workshops to movement on the beach, coordination classes, pilates, mobility, and different ways to work on movement and strength. 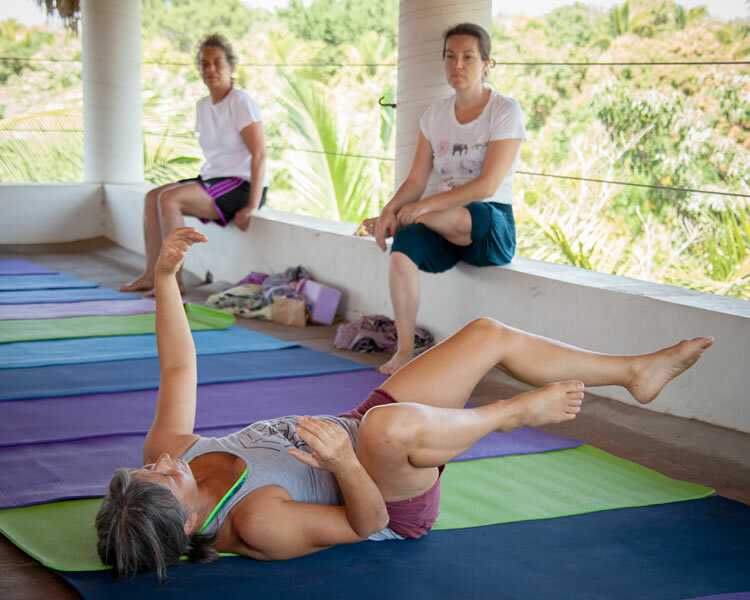 Classes be held in a variety of locations, including a beautiful yoga studio overlooking the ocean, local gym, a gorgeous beach, on paddle or surf boards, in salsa clubs, lagoons, rivers and waterfalls. We’ll be offering excursions into nature creating movement practices as we walk, climb, slide, jump, laugh, pull, run, crawl, hang, roll, bend and lift. Evening programs include partner body work, social and folk dance. The group is staying at a hostel called One Love. It’s a simple and very beautiful spot. Its called a hostel because of its simplicity. There is no hot water (it will be so hot outside the last thing you will be thinking about is a steamy shower) There is internet, but no TV. There is a restaurant on the premises that has some of the best food in Puerto Escondido. They will be open all day to serve us wonderful food and coffee. There is also a small community kitchen on the premises for students wishing to shop and prepare food for themselves. The price for all the classes is $790 for the week. Students wishing to book a spot on the retreat must pay in full. Please note, this price does not include food and lodging. Please note, you are not obligated to stay on the premises of One Love Hostel, there are few lovely places nearby, if you do not reserve a spot with us at One Love, you’ll be responsible to find your own accommodations. Here are our recommendations, they are within 5 minutes walking distance.